From the fire-breathing beasts of North European myth and legend to the Book of Revelation’s Great Red Dragon of Hell, from those supernatural agencies of imperial authority in ancient China to the so-called dragon-women who threaten male authority, dragons are a global phenomenon, one that has troubled humanity for thousands of years. These often scaly beasts take a wide variety of forms and meanings, but there is one thing they all have in common: our fear of their formidable power and, as a consequence, our need either to overcome, appease, or in some way assume that power as our own. In this fiery cultural history, Martin Arnold asks how these unifying impulses can be explained. Are they owed to our need to impose order on chaos in the form of a dragon-slaying hero? Is it our terror of nature, writ large, unleashed in its most destructive form? Or is the dragon nothing less than an expression of that greatest and most disturbing mystery of all: our mortality? Tracing the history of ideas about dragons from the earliest of times to Game of Thrones, Arnold explores exactly what it might be that calls forth such creatures from the darkest corners of our collective imagination. "Arnold has set himself a vast topic for scrutiny: every culture across the millennia has conjured up fantastical fire-spewing raptors, perhaps as a projection of all that humankind most fears. This social history of dragons begins in the mythologies and legends that have come to us throughout recorded history and ends in the present day, with The Game of Thrones’ Daenerys and her aggressive brood." "The potency of dragons as symbols for human fears, weaknesses, and aspirations is the subject of Arnold’s wide-ranging cultural survey. Beginning with classical mythology and ending with George R. R. Martins’s Game of Thrones, Arnold explores the ways in which different eras and cultures have adapted an ancient, near-universal concept of terrifying, winged reptiles to reflect—and sometimes criticize—societal norms. . . . A thoroughly intriguing look at the symbol of the dragon and its powerful hold on the human imagination. Highly recommended for readers of cultural and literary history." "[Delves] at length, and with admirable knowledge and insight, into contemporary media spins on [its] respective totems. . . . Thoroughly researched and richly illustrated chronicles of the folkloric and literary pedigrees of [its] subject creatures. . . . The Dragon features sumptuous color illustrations, a deep bibliography, and notes that invite the reader into independent excursions leading well beyond its pages. Author Arnold is clearly a world expert in dragon lore across genres and media. He guides the reader through a long and fascinating history of this mythical beast’s appearances. . . . Simultaneously expansive and granular. . . . A rewarding, not to mention highly quotable, resource for browsers. If you are interested in any manifestation of dragon lore—religious, folkloric, literary, or artistic—this marvelous volume should be your point of entry." "The Dragon offers a wide-ranging tour of dragons in different cultures, including readable summaries of a range of different myths. . . . Arnold writes in an engaging and vivid style, giving The Dragon the tone of an erudite conversation rather than an academic work. . . . Visually, The Dragon is impressive, with over eighty color illustrations featuring dragons from a wide range of different manuscripts and artistic sources. . . . An assured and entertaining survey of a legend that has continuing appeal." "From Norse mythology to Game of Thrones, dragons have soared through legend across continents and centuries. By turns scholarly and vivid (it's still hard not to be captivated by the stories themselves), this book travels from China to Scandinavia in a bid to track down the meaning behind the myth. Dragons, it seems, have at various times represented both authority and a threat to it." "Dragons, as is proved to the hilt by Arnold’s exceptionally wide-ranging and multicultural survey, are in fact ‘a global phenomenon’ and a cross-temporal one as well. They go as far back in time as the Babylonian Epic of Gilgamesh, and they turn up across Eurasia, from Ireland all the way to Japan. But how consistent is the dragon phenomenon? And what on earth can it mean about us?" 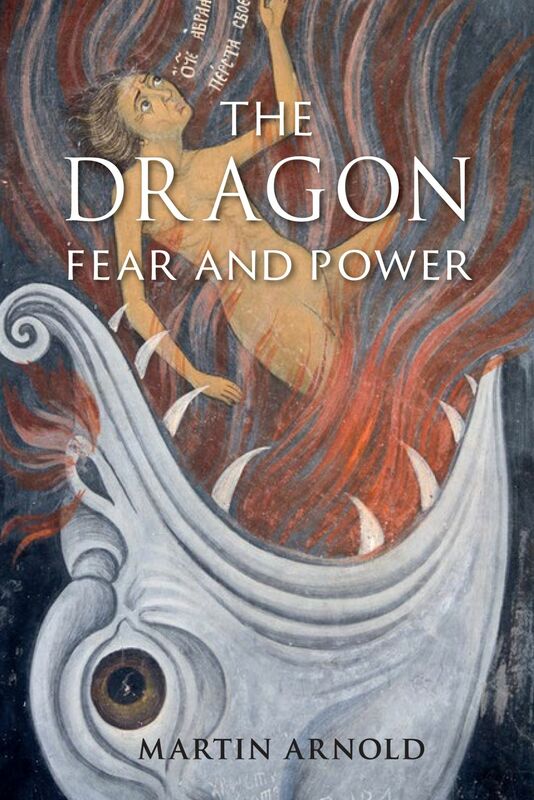 "The ability to write on esoteric matters in an accessible way is something that often (surprisingly) eludes scholars of literature, but that is not the case with Martin Arnold's The Dragon: Fear and Power. This exploration of dragons covers vast distances both temporally and geographically, and yet it seems neither laboured nor superficial."